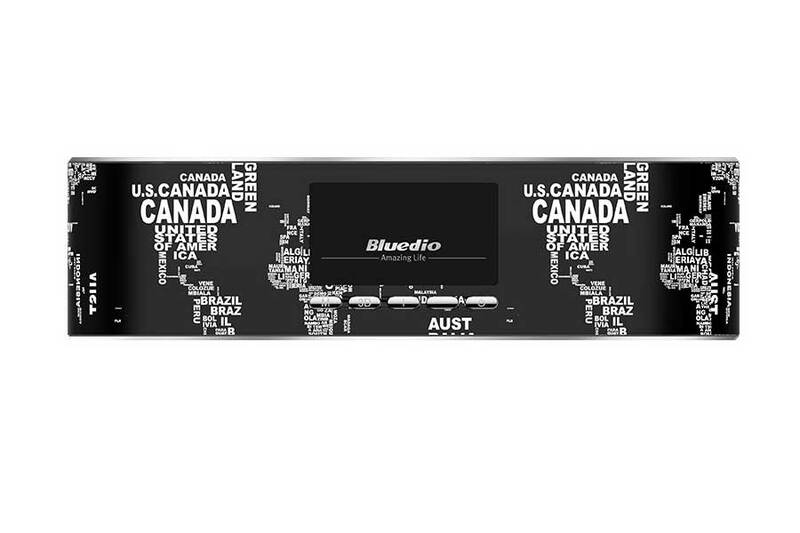 China-based audio equipment manufacturer Bluedio has launched the Bluedio AS portable Bluetooth speaker in its Bluedio Air Series. The device has very fashionable design, and has fiberglass speaker and twin rear bass radiators to deliver full-range audio, and also features 3D sound effect for wider stereo imaging when placed horizontally. 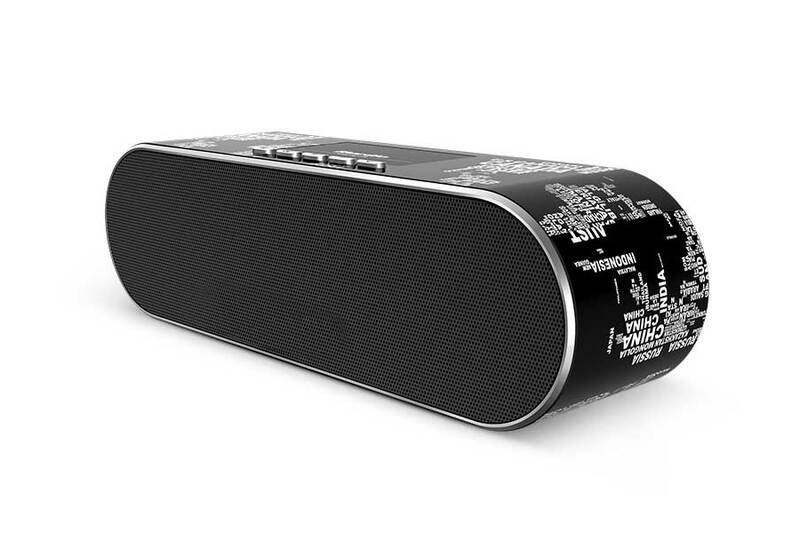 The Bluedio AS Wireless Portable Speaker comes in a small box, and also basic accessories like carrying bag, USB charging cable, 3.5mm audio cable and the speaker itself. The speaker itself is compact and quite attractive. With an entirely metal casing in black color and various regions name in white letter the Bluedio Air series WiFi Speaker looks wonderful. Its small size and sleek profile also makes it easy to handle. The front grille has a simple dotted pattern. It’s currently available in Black color option, at 725g, it isn’t light by any means, but it isn’t too heavy to carry around either. The speaker has two 52mm drivers, with an output of 2.5W per channel. It supports both WiFi (WiFi Speakers Outdoor) and Bluetooth 4.1 LE (A2DP, AVRCP, HSP, HFP) for wireless connectivity, and has a frequency response range of 10Hz-22KHz. The pairing is very easy with any Bluetooth enabled devices. It also supports AUX audio input to connect with smartphone, tablet, computer and MP3 player via the 3.5mm audio jack. There’s also a microphone on board so you can use the Bluedio Air Bluetooth Speakers as a hands-free device for calling. It has decent battery backup, which powered it for about 5 hours of continuous music playback and talk-time, while standby time up to 1000 hours. It comes with companion Android and iOS apps called Bluedio WiFi as well. After AS connected to app, it can be used as WiFi amplifier to enhance the WiFi signal. When playing music through Bluetooth, press 3D button once, to turn on 3D sound effect.